I hope the front will stay and the back changes. It really doesn’t fit together like this. Thats strange as opened an account and none of codes work. Is it possible to use the DEZ12 code for a UK delivery? I might be wrong but I don't think they ship to the UK from the German site. Weird, I know as it's a UK company. But you guys get the UK site. Might be something to do with tax or something...... ? Yes 12% is better but a few posts ago you said both could be used. But i order with dez12 hrs ago so all good. I had to check see if the euro was in my favour against the aus dollar vs gbp against the aus dollar and using the code through zavvi.de worked out better. As long as its same edition as if i ordered from uk im happy with that. 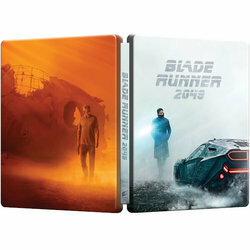 But in saying that if there is a limited or special edition comes out with the steelbook i cancel anyways but for now nothing else out there yet. Ah, ok, but this is not how I meant it. It’s either 10% or 12%, not both. Ordered both so I can decide later, will only keep my favourite one though. Do you think anyone other than hmv and zavvi will be doing it ? Like a premium release ? Of course there will be a premium release a year down the road. Almost correct.....because it's being sent from Guernsey, not the UK. If being sent from Guernsey you don't get tracking, even if you did check it at ordering. And to make it even better....if you are lucky you also need to pay a customs fee. Some get through customs and some not. Once I have received an item from Cologne.....The Great Wall, but that's it. 99.9% came from Guernsey. I have the feeling all new released items come from Guernsey. But yes, it could be other warehouses are being used. Never had that experience so far (except for just one). I have also ordered Amarays and they also came from Guernsey. And I don’t think the address matters. For Germany it would be logic to use Holland. Way faster. Now it takes 2-3 weeks because they ship from Guernsey. 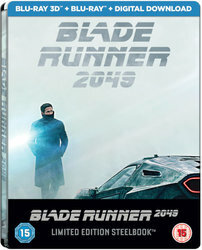 Has it been up for pre order yet as not available? Would be good it the show you the glass as well. Nice one @rschiks . Was waiting for pictures of that. @bwatt99 They had the listing on Zoom at £39.99 but no image. Looks like they have more now. Only £40 at Zoom. Seems a bargain then! !